Fun Minecraft games like Skywars, Murder Mystery, Hide & Seek and more. 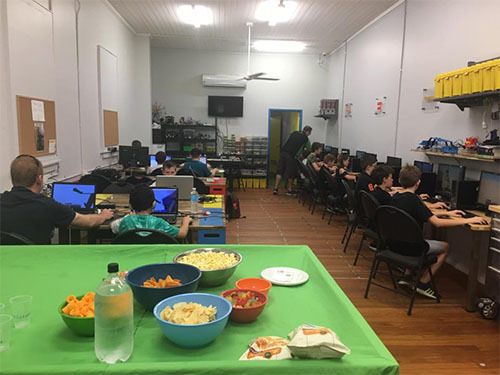 This session is for students who have a fair bit of experience playing Minecraft and are happy to play PvP games (player versus player). As normal, students will only play on our own Building Block Studio server which is not available to players outside the studio or on the internet. All students must be self reliant while playing the game throughout the entire time. This night is not suitable for novice students as only minimal assistance will be given. The attending students will play as teams (potentially random) in an attempt to beat each other in certain challenges. Our fun night includes snacks such as chips and lollies as well as pizza and soft drink for dinner approximately half way through.